In his landmark treatise entitled Man and His Symbols, Dr. Carl Gustav Jung wrote of societies that provide challenges to young men, such as an onerous task or series of tasks, that allow them to prove themselves before their peers and before the community. In some societies, a young man had to spend a few days alone in a forest and fend for himself, having previously been taught about survival in wilderness conditions. The experience not only earned him status amongst his peers; he also learned to be self-reliant under challenging conditions. Dr. Jung warned of the danger that could befall a community should it fail to provide appropriate rites of passage for young men and women, who would then create rites of passage on their own. During earlier times, a tribal chief may have challenged a young man to kill a large antelope and provide meat to the tribe. Gang leaders today sometimes ask a blood price for a new member to be accepted by peers. In areas of Central America, the blood price is the life of a pre-teen girl whose passing will signify the new member’s loyalty to his new gang family. It is normal and natural to want to be accepted by peers, gain their approval, receive status from them and be acknowledged by them. Young boys who live in extended family environments and who have daily contact with older male relatives will have their emotional needs for acceptance and approval met, often by performing various constructive tasks. When a community is threatened in any way, men of the community will often band together to defend it and what it stands for, bonding with each other for their participation in dealing with a possible perceived enemy. This bonding sometimes has a dark side, however. During the early 20th century across the Southern USA, the Ku Klux Klan emerged as black slaves gained their freedom. KKK members perceived self-reliant former slaves as some form of threat and chose to deal with the threat by burning down black schools, black homes and black-owned farms and businesses. They initiated physical violence toward free black people, usually in the form of lynching, subsequent to which KKK members would receive approval, acceptance, acknowledgement and status from fellow members. Bullying of target peers is the bonding ritual or rite of passage for members of modern school cliques. They will engage in behaviour that is similar to that of a KKK lynch mob of an earlier era that randomly targeted a black person. The news media has reported incidents of children who have been ruthlessly bullied by peers, sometimes to the point of suicide. When interviewed individually, members of school cliques have expressed remorse over having contributed to the suicide of a targeted peer, and may admit that they engaged in such behaviour to maintain their status within their social groups. During the silent film period of the early 20th century, a silent movie entitled Birth of a Nation that depicted the black man as a depraved entity appeared at movie houses across North America. After one screening of the movie in a city in the southern USA, a horde of primarily male moviegoers who were affected by the movie went on a rampage as they left the movie house, physically attacking and assaulting innocent black people without provocation. Modern movies have also glorified violent acts such as swarming, a horde behaviour that followed Birth of a Nation. Government advisors now propose to involve teenagers in public schools in discussions about mental health. Factors such as government social policy that undermines the role of the traditional family have the potential to contribute to mental health issues among children raised in fatherless homes. 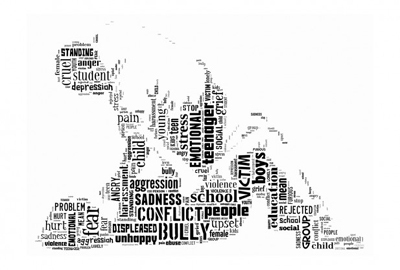 School policies such as zero tolerance have failed to protect children from bullying and cyber-bullying. Targets of such bullying suffer from rejection, withdrawal and depression, raising the risk of suicide. School discussions on mental health issues are unlikely to mention how failed government social and school policy have contributed to citizens’ mental health issues. In his landmark treatise entitled Envy. A Theory of Social Behaviour, Dr. Helmut Schoek defined envy as an insidious emotion where the envious person does not want the possessions of another person, but simply doesn’t want that other person to enjoy them. A severely envious childless women may not want to possess another woman’s child, but she may harm the child so as to deny the natural mother from enjoying motherhood. During WWII, the US Army conducted IQ tests among soldiers and kept the results secret for many decades. The tests indicated that northeastern black men had higher IQs than southern white men. A freed slave named Booker T. Washington taught himself to read and write and subsequently started Tuskegee school where he taught other freed slaves reading, writing and numerical skills. Some freed slaves became entrepreneurs and business owners who employed other freed slaves. Some former slaves even became owners of plantations and lived a lifestyle comparable to traditional plantation owners. The entrepreneurial evolution of freed black slaves saw them achieve the lifestyle of their former owners, an achievement that may have provoked envy. The KKK emerged during a time when a small percentage of freed slaves became self-reliant and successful entrepreneurs. KKK mobs began to burn black schools and black-owned businesses, and lynched black people. Such reactions sought to prevent black people from acquiring a rudimentary education and using that education to become self-reliant and successful. Entrepreneurial success proved the intelligence of black people, and KKK members sought to prevent them from using that intelligence in the pursuit of independent achievement. KKK activity combined envy with bonding rituals and rites of passage for a generation of southern white men. School cliques that engage in bullying of peers may also be motivated by envy, perhaps seeking to prevent a targeted peer from worthwhile academic achievement and subsequent success. While ultimately motivated by envy, school bullying also serves to bond members of the clique. Present day problems in government schools are ultimately the result of misguided, well-intended government policy of an earlier era. Government advisors wish to engage high school students in discussions on mental health, but some teenage mental health issues stem from the unhealthy emotional environments that now exist in modern government schools. State officials believe that all students should be taught the exact same subjects in exactly the same way. But according to the treatise of pediatrics professor Dr. Mel Levine, A Mind at a Time, children’s brains are unique and process information in distinctive ways. State education that requires all children to learn the same subjects in the same way risks provoking envy among children who compete to win the approval of teachers, and this can result in the bullying of peers. Some state school officials introduced zero tolerance policies to eradicate bullying, but bullies can manipulate such programs to their advantage. They have failed in most school districts. It is unlikely that engaging students in discussions about mental health issues will be any more effective in addressing one of the main causal factors behind teenage mental health issues: failed state policy. Harry Valentine is a free-marketeer living in Eastern Ontario.